A recent study said that the average woman spends over $200,000 in a lifetime on cosmetics. Having been married to a woman for 25 years and raised a beautiful daughter, I can tell you that this number seems a bit low. My wife has an entire table in our bathroom filled with every kind of makeup and skin care product you can imagine. From eye liners and blushes to all the brushes and necessary tools to apply it where it needs to go. Not that I’m complaining, if this makes her happy then $200K is a small price to pay. Just kidding. That’s ridiculous. But what if there was a way to reduce wrinkles and improve our skin health naturally, without any creams or makeup? Not to mention that as a man, I really don’t have the option of a layer of foundation to hide my crow’s feet so I need something that will work for me as well. 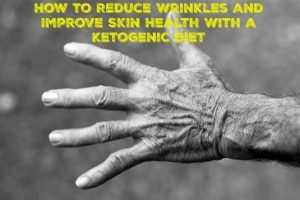 As it turns out, the ketogenic diet works wonders for overall skin health and helps keep wrinkles from forming and even reduces existing wrinkles. Let’s take a look at how this works. The outer layer of your skin is called your epidermis and has 3 parts; collagen, elastin and Glycosaminoglycans (GAGs). Collagen is a structural protein and is the most abundant protein in the body. It is found in joints, connective tissues, cartilage, bones, cardiac tissue and, of course, the skin. It is the breakdown of collagen that causes wrinkles so we want our collagen to be well hydrated and nourished at all times. Next up is elastin and elastin provides skin its elasticity. Pulling on skin and having it snap back into place is caused by healthy elastin. Finally, the GAGs are the most important element of the skin when we are discussing wrinkles because the GAGs keep the collagen and elastin hydrated and nourished as well as repairing damaged collagen and making new collagen when needed. In short, if we want our skin to be wrinkle free then we need to focus on the health of our GAGs. So what can we do to improve the health of our GAGs and improve our skin health? Like many things in our overall health, it comes down to hormones. In this case it is specifically the hormone IGF-1 that increases GAG health and then skin health through that pathway. Insulin-like Growth Factor 1 (IGF-1) is a hormone that is secreted in opposition to insulin. You can think of Insulin and IGF-1 as being on opposite ends of a teeter totter where when one hormone is being secreted, the other hormone is being suppressed. Studies have showed many benefits of increased IGF-1 production like longer life, increased brain health, increased cardiovascular health and lower inflammation. It is beyond the scope of this article to discuss each of these but you can see a full list here. We want to look at how we can increase IGF-1 production to increase skin health. Here are the 7 best ways to do it. This is the most obvious. If insulin and IGF-1 act in opposition to each other, then we need to lower insulin to activate IGF-1. Guess what is awesome at lowering insulin? That’s right, the ketogenic diet. Restricting your carbs to around 20 grams a day and eating a moderate amount of protein keeps insulin production at a minimum which allows for IGF-1 production. IF is where you only eat in a specific window of time during the day. One of the more common variations is a 16:8 fast where you will eat 2 meals 8 hours apart and then fast the other 16. Or perhaps fast multiple days a week and only eat on the other days, The structure isn’t all that important other than the longer the fast, the more benefits received and the more IGF-1 produced. Getting good high quality sleep is crucial to over-all health and this includes the health of your skin. Getting enough sleep lowers cortisol and since you aren’t eating when you are asleep, it also lower insulin. Night time IGF-1 production is a key component in sleep restoring the damage done to our body during the day. Intense exercise in short bursts seems to increase IGF-1 production more than long aerobic exercise so consider HIIT training, windsprints, or my personal go-to the kettlebell swing. You are trying to break down muscle tissue and spur the body to repair the damage done from intense exercise. Since IGF-1 is produced by the liver it makes sense to support liver health to create more IGF-1. As I’ve said many times on this blog, your liver is great at processing carbs and it is great at processing fat but it is terrible at dealing with both at the same time. So if you want to increase liver health you’ve got to remove fat or carbs from your diet so you can go vegan which terrible for your health long term (If you haven’t yet, please listen to my interview with Lierre Keith about The Vegetarian Myth) or you can eat a ketogenic diet which allows the liver to function normally. Also, restrict alcohol as this also damages the liver. Eat foods high in vitamins A, D, E, and K along with fat (most fat like animal flesh and butter include these vitamins with them) as your body needs fat in order to absorb these nutrients. This might seem like a lot to do but a well formulated ketogenic diet takes care of most of them. When you eat keto, you are naturally reducing insulin, reducing oxidative stress, supporting good liver health and eating lots of fat soluble vitamins. Lower insulin levels will also improve sleep and make you more prone to want to exercise. It will also reduce hunger signals so Intermittent Fasting becomes easier. It’s not uncommon for someone who has been on the ketogenic diet for a while to have their friends and family tell them how much younger they look. 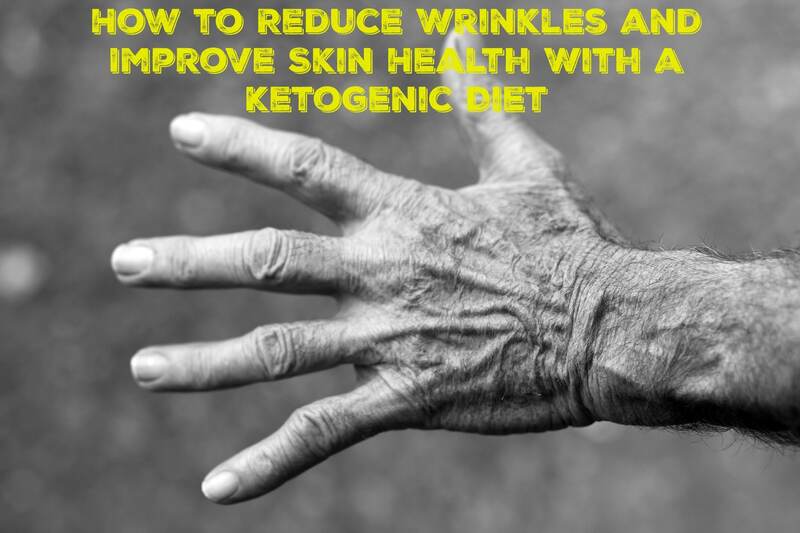 Of course, some of that is from weight loss and the other health improvements of keto but some of it is also from improved skin health and fewer wrinkles. Have you seen a difference in your skin health since starting keto? Let me know in the comments! I had really dry skin on my feet before starting a keto diet. Gone now. Yeah, if you give your body the fats it needs to keep your skin moisturized, good things often happen. Congrats! I don’t know. I’ve seen makeup work miracles. I used to have acne… Switched to a keto diet and it’s all gone. Skin also has a healthy glow, no dryness and less excessive oil as well.